Natural Bird Reserve Andean Parrots. This corridor was designed and established in 2004 having established on loan the Municipal Reserve El Mirador in order to provide adequate management and unite conservation efforts with Fuertes’s Parrot (Hapalopsittaca fuertesi) in the town of Génova (Quindío). There they have worked with the community, developing conservation tables in order to involve people living near the reserve to understand the importance of not grazing their cattle on the reserve, they also established a high mountain nursery with which they have worked on reforestation, recovering pastures that existed in the lands of the reserve. All this work has been carried out with support from Loro Parque Fundación, the Municipality of Génova and the Corporación Autónoma del Quindío (CRQ). 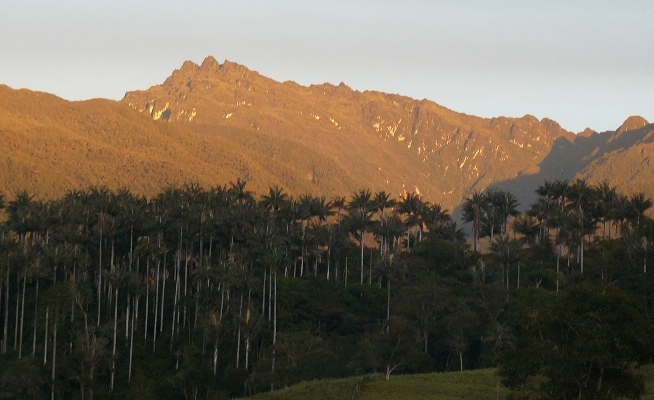 The corridor extends to the town of Roncesvalles in the department of Tolima, passing from the western slope of the central mountains to the east, characterized by moor ecosystem down to 2,800 meters, meeting the high Andean forest and the characteristic Wax Palm (Ceroxilum quindiuense) where populations of Yellow-eared Parrot (Ognorhynchus icterotis) nest. 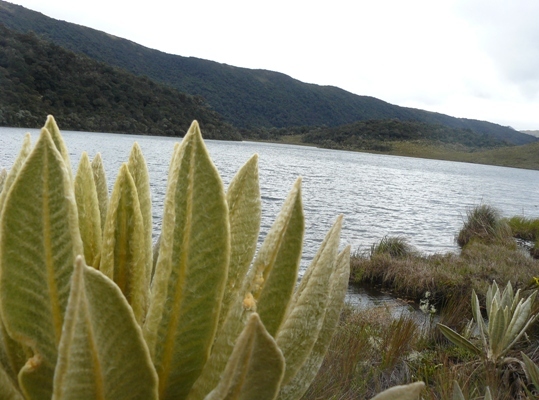 Although this sector has been working since 1999, the union of the corridor with the Nature Bird Reserve Andean Parrots was only completed in 2010. Conservation Corridor Natural Bird Reserve Andean Parrots. The Andean Parrots Corridor was established to connect two areas of work of great importance for the conservation of 5 threatened parrot species in Colombia: Hapalopsittaca fuertesi (Fuertes’s Parrot), Hapalopsittaca Amazonino (Rusty-faced Parrot), Bolborhynchus ferrugineifrons (Rufous-fronted Parakeet), Leptosittaca braniki (Golden-plumed Parakeet) and Ogorhynchus icterotis (Yellow-eared Parrot). After the support and efforts of the various institutions mentioned above, we established two nature reserves: the Natural Bird Reserve Fuertes’s Parrots continues the Reserve in Genoa City El Mirador (Quindío) Natural Bird Reserve Andean Parrots located in Roncesvalles (Tolima).